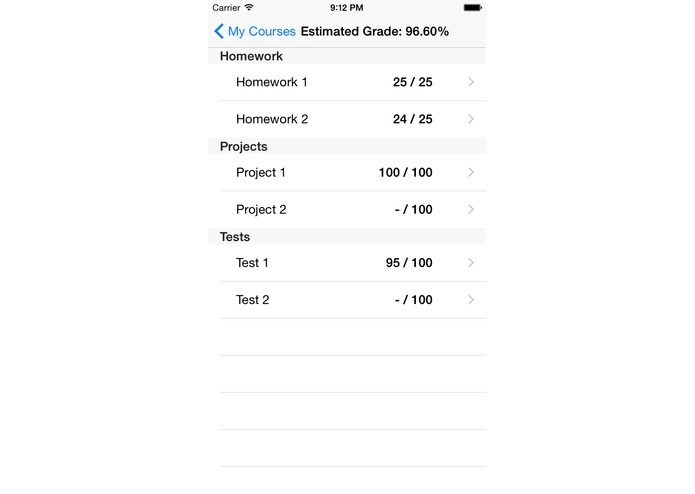 TWITI connects with RIT's myCourses LMS system to fetch your grade information, and allows you to calculate your estimated course grade using 'what-if" scenarios. I developed most of the code for the app's functionality, except for some of the tricky calculations involved in estimating weighted grades, which were done by Reece. Working with D2L's JSON API took a lot longer than I anticipated and so unfortunately I didn't have time to design a proper UX. For being my first ever Swift app though, I'm pretty proud of it, especially knowing how useful this app will be to all of my fellow students. I also plan on designing a new UX that is a bit more aesthetically pleasing than the current UX.